Student loan debt now exceeds one trillion dollars and continues to increase. According to a top official at the Consumer Financial Protection Bureau (CFPB), this debt could be the most painful consequence of the recent economic recession. Many say that the student loan market is headed for crisis and are calling for legislative changes. Rohit Chopra, the student loan ombudsman for CFPB, believes that additional regulation of the student loan market is necessary to prevent additional financial crisis. In mid-November, he recommended to the Federal Reserve Bank of St. Louis that financial regulators take action to prevent this market, now valued at $1.2 trillion, from going bust. Chopra noted that various actions could be taking without intervention from Congress. These include implementing policies to encourage student loan refinancing and requiring lender disclosure of additional data. According to the United States Department of Education, the two-year student loan default rate rose from 9.1 to 10 percent between fiscal years 2010 and 2011. From fiscal years 2009 to 2010, the three-year default rate increased from 13.4 to 14.7 percent. Arne Duncan, United States Secretary of Education, called the increasing default rates ?troubling? and pledged that the department will continue efforts to make student debt affordable. The Department of Education released additional loan counseling tools at the end of 2013 and plans to increase its outreach to borrowers who may be struggling to repay their student loans. These actions and partnerships between the federal government, educational institutions, leaders, and students may not be enough. For those who are finding repayment impossible, student loan default becomes a realistic outcome. Many desperate student loan holders turn to accountants and lawyers for help. Unfortunately, accounting professionals and attorneys are limited in what they can do. For example, it is very difficult to discharge student loan debt through bankruptcy. A Chapter 7 or Chapter 13 bankruptcy filer must prove that repaying outstanding student loans would create undue hardship. 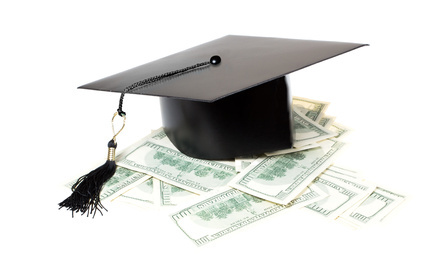 Bankruptcy courts use different tests to determine what constitutes undue hardship and, in general, are reluctant when it comes to discharging student loans. Changing bankruptcy laws to make student loan bankruptcy easier to file may help to prevent another financial crisis. As more legislators become aware of the dire state of the student loan market, conversations will begin that could lead to change. By making it possible for consumers to eliminate student loan balances, legislators could improve the economic situation in this country. Get Help for your Student Loan Debt by Filling out the Free Evaluation Form!